What's possible when you bridge the gap between young female designers and leaders in architecture? A conversation initiated over lunch on International Women’s Day 2017 generated a year-long research project for two young Leers Weinzapfel Associates (Boston, MA) designers eager to address this topical question. Girl UNinterrupted, the resulting three-phase, pro-bono initiative founded by Zhanina Boyadzhieva and Juliet Chun, both Associate AIA, strives to make the culture of the design profession more equitable for all, bridging the gap between young women designers (and designers in general) and experienced leaders via opinion sharing to jumpstart future growth. The project was inspired and shaped by the current spotlight on women practitioners and initiatives, including Equity by Design (EQxD), the Beverly Willis Architecture Foundation, the WAGE Project, and others, as well as the founders’ self-described “nurturing work environment.” Data surveys designed to provide firm leaders with an understanding of young designers’ struggles, a conversation series offering suggestions for creating an equitable office culture that maximizes opportunity, and a manual of action tips based on findings comprise the project’s accomplishments to date. Boyadzhieva and Chun presented critical insights from their 2017 Designers Data Survey in Boston at the recent AIA Conference in New York City, providing attending firm leaders and emerging professionals (EPs) – approximately 25% of whom were men – the opportunity to bring practical knowledge back to their firms nationwide. 533 Boston architecture and urban design practitioners, both female (65%) and male (35%), the majority of whom had 3-5 years of experience in firms of all sizes, responded to the survey’s four categories of questions: General Information, Negotiation & Self-Confidence, Career Growth, and Work-Life Balance questions. · EPs feel very comfortable asking questions, but not initiating ideas. Ideas should be cherished and encouraged if the goal is an equitable and diverse team. · When asked about taking time off, the majority of respondents said they feel guilty. It is essential to recharge, considering the long hours spent in the architecture field. Taking this time should be encouraged by leaders and teammates. · EPs require a better work-life balance (or as someone called it, “life-work” balance) in which they seek not only continuous learning – the main motivation factor – but also diversity of experiences and opportunities. · Women suffer from being criticized as aggressive and bossy or not being considered equal to their peers in architecture. · Minority group challenges are worse than women’s problems at large. · Flexibility must be incorporated into the workplace as we continuously blend life and work. · Parenthood and parental leave should be addressed and not penalized in the workplace. · Bachelor’s degree programs in architecture should be strengthened to better prepare young practitioners. 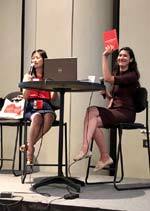 Boyadzhieva and Chun’s presentation also served as the official launch of the their Girl UNinterrupted manual, which provides data analysis of the Boston survey, the full conversation series with 12 prominent women leaders, and prolific tips for both EPs and leaders to put knowledge into action. Two starting tips presented during the session included conducting internal firm surveys, and taking steps to become actively aware of unconscious bias in the hiring process. The manual will be uploaded to the project’s website in the next few weeks for all to view, announced via an e-newsletter and Girl UNinterrupted Twitter posts. Later this year, the founders are also preparing to release new survey results from cities across the country. “We are currently processing survey data from Chicago, Los Angeles, New York, and Washington, DC, and hope to post results on our website in the fall,” says Chun. “We received more than 700 responses, and we’re excited to see how the data compares between each city and Boston. We are interested in extracting contextual issues while tracking common trends and issues in practice.” Eventually, the founders hope to expand their exploration to more rural regions, where they expect answers “will be quite different” from those they are currently receiving from urban centers. 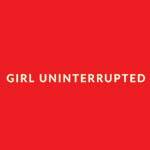 Girl UNinterrupted is sponsored by Leers Weinzapfel Associates, the Sasaki Foundation, and Hunter Douglas Architectural, and complemented by a host of other supporters. Follow the project’s progress on Twitter. Juliet Chun, Assoc. AIA (left), and Zhanina Boyadzhieva, Assoc. AIA, present their Girl UNinterrupted manual at the AIA Conference on Architecture 2018.